Premier Doug Ford ratcheted up his rhetoric on Ottawa's climate change plan Monday, warning that the federal government's carbon tax will plunge the country into recession. 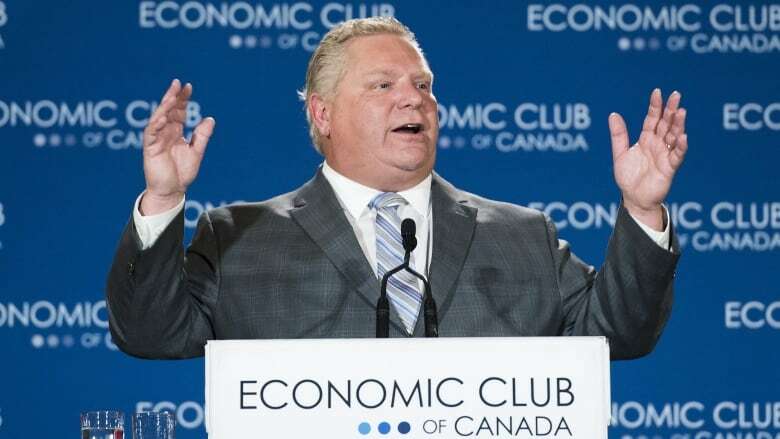 During a speech at the Economic Club of Canada, the Ontario premier said there are already warning signs of difficult economic times ahead and a carbon tax will kill jobs and hurt productivity. Federal Environment Minister Catherine McKenna's office did not immediately respond to a request for comment.